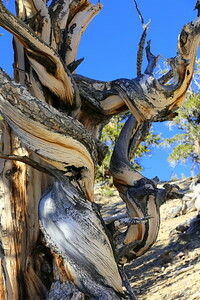 BristleCone Pines, White Mountain, Inyo national forest CA near Big Pine CA, some are over 5000 years old! 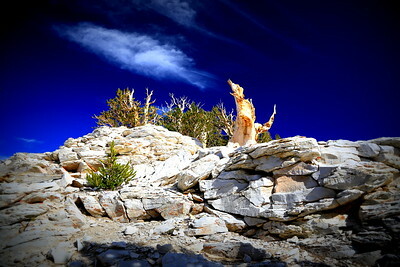 Schulman Grove, Bristlecone Pines. 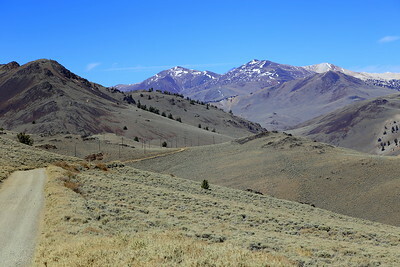 At Big Pine on HWY395 turn east onto State Hwy 168, go east 13 miles to White Mountain Road. 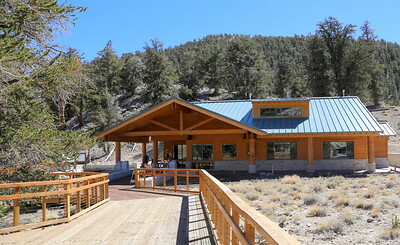 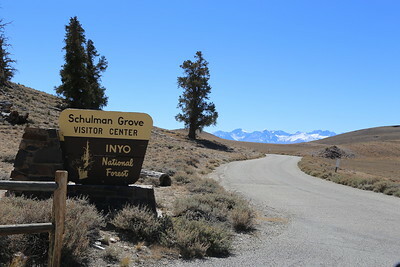 Turn left (north) and drive 10 miles to the Schulman Grove Visitor Center. 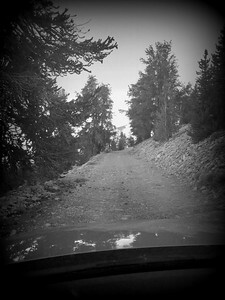 All paved roads. 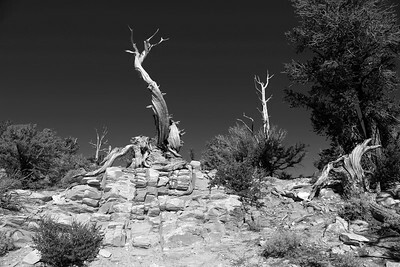 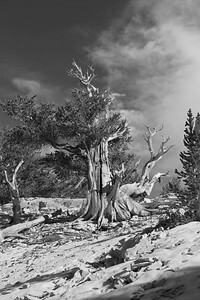 Every photo of Bristlecone Pines, that I have seen, are always shown in isolation. 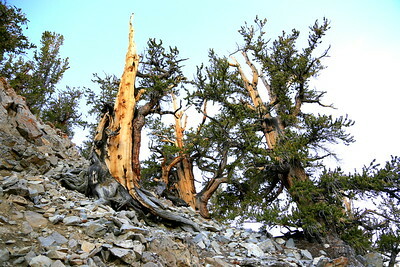 Here is a family photo. 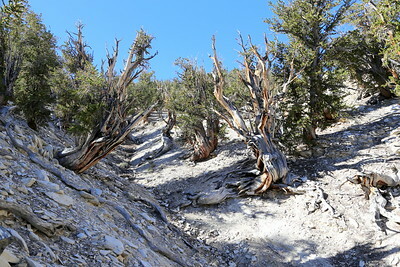 Taken along the Methuselah Trail which is 5 miles and gains approximately 700 feet of elevation. 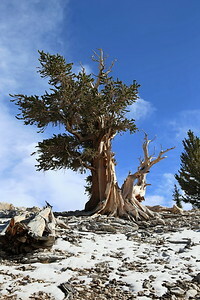 The world's oldest living tree is along this trail! 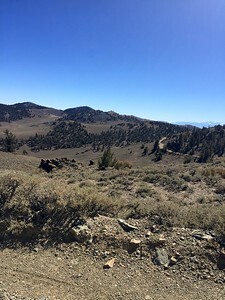 Taken along the Methuselah Trail which is 5 miles and gains approximately 700 feet of elevation. 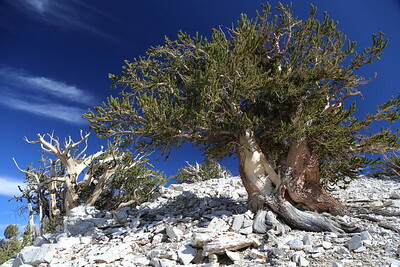 The world's oldest living tree is along this trail! 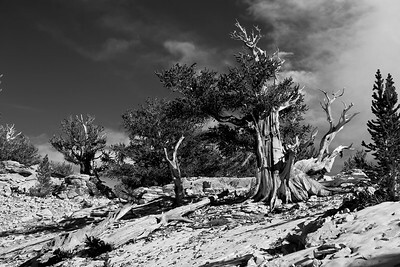 Bristlecone Pines seem to love rocky hillsides. 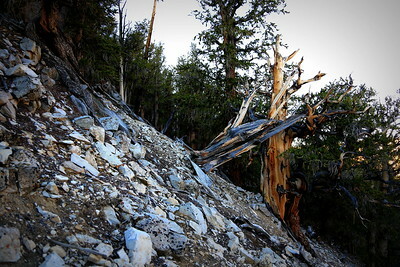 Taken along the Methuselah Trail which is 5 miles and gains approximately 700 feet of elevation. 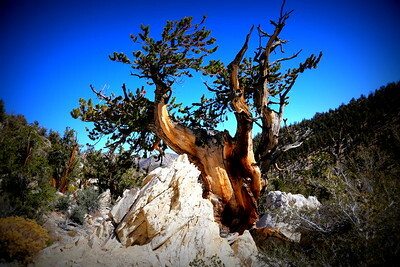 The world's oldest living tree is along this trail! 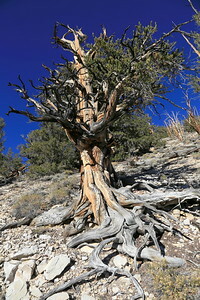 Taken along the Methuselah Trail. 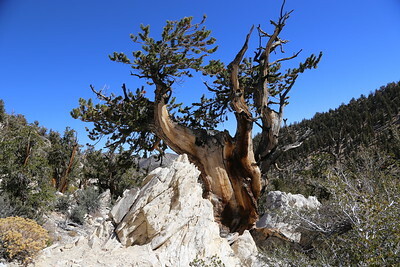 The world's oldest living tree is along this trail! 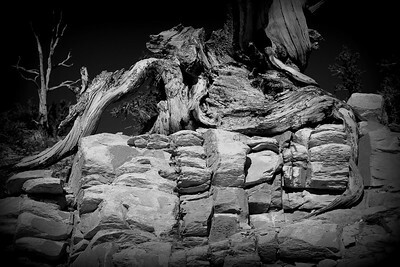 This root structure looks like an awakened wolf, staring you down! 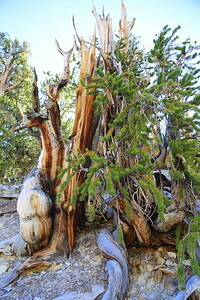 Taken along the Methuselah Trail. 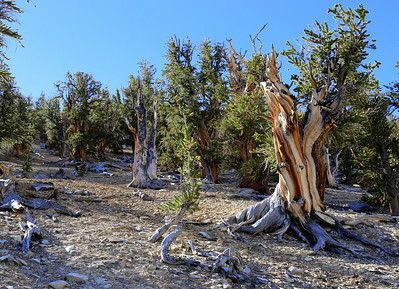 The world's oldest living tree is along this trail! 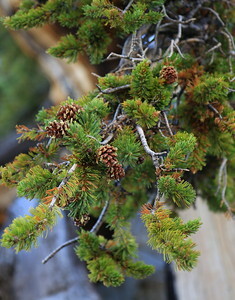 Bristlecone Pines cone and foliage. 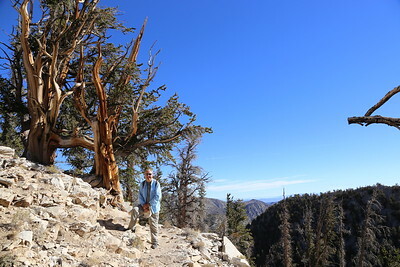 selfie, Taken along the Methuselah Trail. 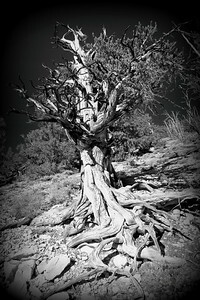 Taken along the Methuselah Trail. 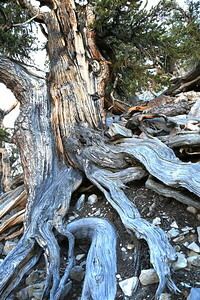 spectacular root structures; amazing how they survive for thousands of years. 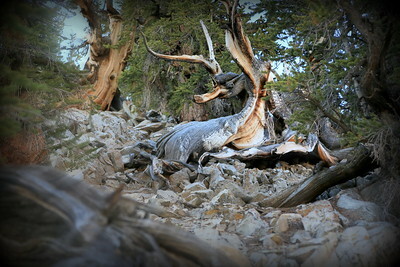 Taken along the Methuselah Trail. 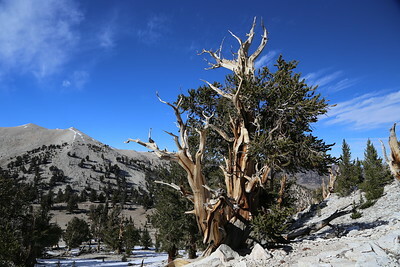 On the Methuselah Trail. 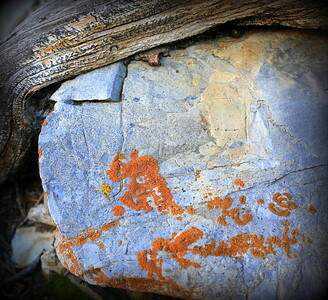 It's seems like India, where you just can't too many photograhs! 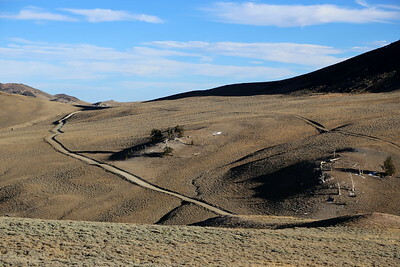 The 12 mile road to Patriarch Grove is not paved from Schulman Grove , is wash board in many places and typically rough. 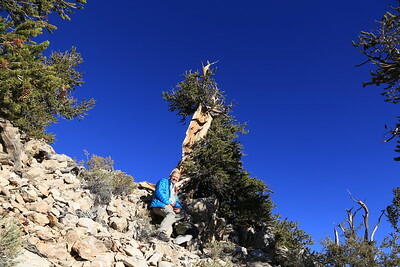 Patriarch Grove is at 11,000 feet.